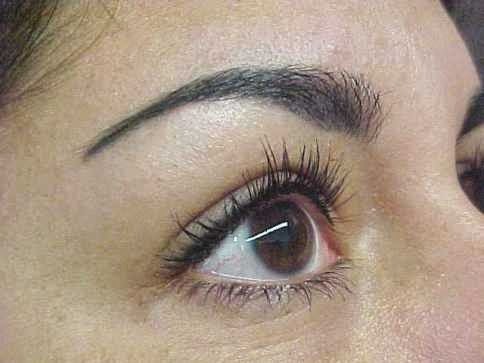 Got Some Permanent Cosmetics Done? Here’s How to Take Care of It! In today’s world, it’s almost unimaginable that someone hasn’t had something done. We are pass that judgmental attitude and we’re rolling with the new trends. Well, we hopefully are. The thing with permanent cosmetics is that there is a certain type of care after treatments needed for everything to go just as it should and for you to see the after results you were hoping to see. Most common touch-ups are done on lips and eyebrows. Here are some tips on how to take care of them. For any good results, aftercare protocol is extremely important. The procedure itself is done with a sterile single-use needle and high quality pigments. Be aware that you are running a risk of losing all or much of your new lip color if you allow your lips to dry out during the first two weeks after the treatment. The instructions we are providing you with are universal and are therefore applicable for all lip treatments. However, don’t follow them if your physician has instructed you differently. Your lips are at first going to have a bit darker color than you wanted. The final result is a much lighter shade. The darker color is normal because your skin needs to adopt to the irritation and changes made. About 40% of your color will be lost in the first two weeks. Your permanent make-up will look perfectly natural after that point. Still, you need to understand that it will take at least two more touch ups for your permanent makeup to achieve the desired look. Your lips will feel swollen, tender and very dry immediately after the procedure is done. Don’t panic if they seem crooked due to swelling or uneven. This is completely normal. The swelling will diminish within 24 to 48 hours. This is when you’ll see your lips become evenly shaped. You were probably prescribed antiviral medication before the procedure. You should continue taking it for 7 days following the procedure. If your physician prescribed differently, go with what’s prescribed. Avoiding medication will get you anywhere. In fact, you will almost certainly develop very painful cold sores around your lips if you don’t take the medication. · Do not let your lips become dry as this will create dryness and scabbing. By gently dabbing it, apply a liberal amount of ointment whenever it feels like your lips are getting dry. This is imperative!!! Again, similar to lips, your eyebrow color will appear much darker than wanted, right after the procedure. Don’t panic! The color will fade really soon. In about two weeks it will become natural looking. To have your brows looking the way you’ve imagined, you’ll have to be careful about the aftercare process. Also, your competition/physician will schedule a touch up session in less than a month after the initial procedure was done. Do I have to use the prescribed ointment? Absolutely! Without its careful application, your brows will start scabbing and the initial coloring and shape will be lost. In the first 7 to 10 days, you have to apply the aftercare ointment two to three times a day. Also, under no circumstance, let your eyebrows get dry. A fresh Q-tip with each application of ointment is a must and make sure you’ve washed your hands first. Before you go to bed at night, apply ointment. Itching is also common (this means it’s healing). However, it’s advisable not to scratch your eyebrow area – you need to let flakes fall off on their own. Don’t panic if you feel tenderness, itching, swelling and redness. This is due to skin irritation and will go away in no time. NOTE: Do not wear any makeup for at least 5 days on or around your lip and brow area if you had cosmetic tattooing done. We have provided with some basic information. Always consult your competition or physician on the exact instructions related to pre and post procedure treatment.